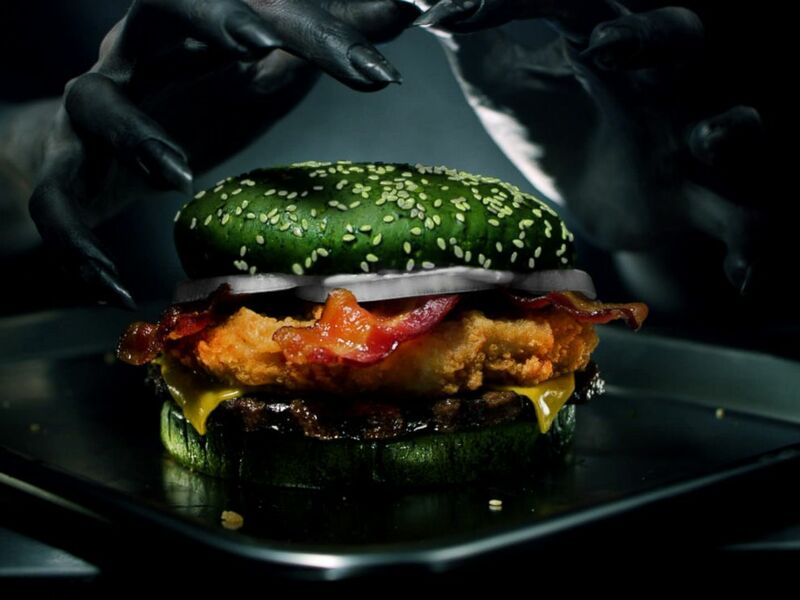 Burger King Says New Halloween 'Nightmare' Burger Will Actually Cause Nightmares! Because our normal Halloween season isn’t scary enough, Burger King just upped the ante with this nightmare-causing sandwich. Yes, you read that right. 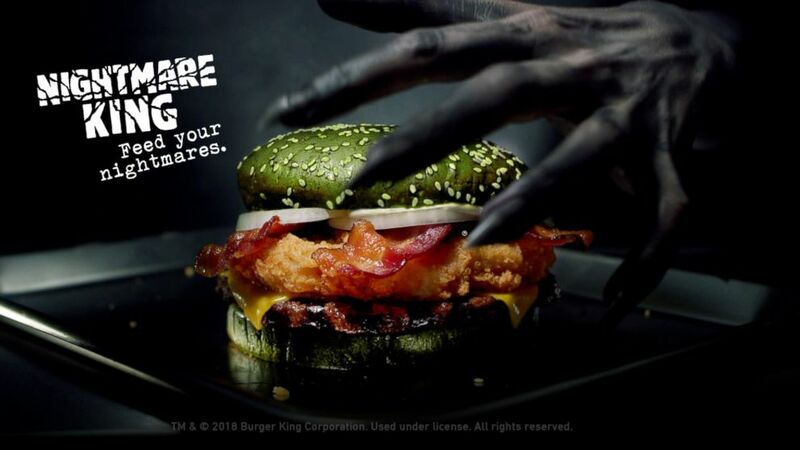 Burger King has come out with a scientifically backed, nightmare-inducing burger this Halloween season. So, what could be on this burger that would actually cause it to affect our normal sleep patterns? Well, if you’re not grossed out by the green sesame seed bun, the rest of the sandwich is filled with a quarter-pound beef patty, a crispy chicken fillet, melted American cheese, bacon, and mayonnaise. How is it possible that this sandwich causes nightmares, though? Burger King partnered with Paramount Trials and Florida Sleep & Neuro Diagnostic Services, Inc. to conduct a study wherein 100 people ate the burger over a 10-night period. Though Burger King declined to provide a copy of the study, they claim the data shows that participants reported that their nightmares increased by 3.5 times. Upon the unveiling of this terrifying creation, Burger King said, "Some Burger King sandwiches are the burgers of their dreams. The Nightmare King is the burger of their nightmares." The green-toned burger will cost $6.39 and will be available in some restaurants from October 22 until they run out. Now, this is not the first time a colored burger bun has been made available for purchase. In 2015, McDonald's limited edition Modern China burger made a huge splash on social media because of its gray bun color. That same year KFC launched a pink bun that made its rounds on the internet. 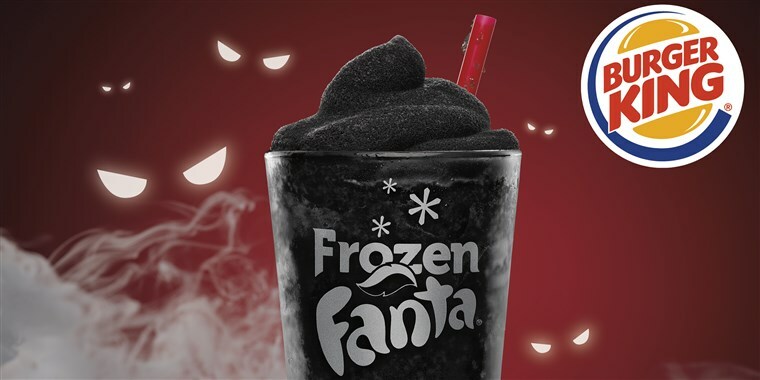 Burger King didn’t stop there and created a black frozen Fanta drink called "Scary Black Cherry." Hopefully the brain freeze you get from the drink will counteract the nightmares you'll get from the Nightmare King! There are no reports on what kind of nightmares are caused, but my own recommendation is that you not go see the new Halloween movie right after you eat this burger! Are you brave enough to try it? Let us know in the comments. And if you do go for it, please stop back by for a full report, including photos of your burger and a full recap of your dreams!